First, here’s a quick answer to the question, “Why RoboForm?” Sure, modern browsers have rudimentary password managers that remember credentials for most sites you visit, making logins faster and easing the burden on your overloaded human memory. Roboform does that basic task, of course. But RoboForm 8 goes beyond the basics. It not only stores your passwords, it helps you create strong ones and manage them so that you don’t fall into the traps I described in my article, Here’s Why Your Password Is Hackable. It’s easy enough to import passwords stored by your browser into RoboForm 8. A new feature, dubbed Security Center/Password Audit, can then check your passwords for strength, flagging the ones that are weak or common and offering suggestions that will beef them up. The audit also flags duplicates, sites on which you are using the same password. That’s a big security no-no; you wouldn’t use one key to secure your house, car, office, gym locker, and safety deposit box. RoboForm 8 can now find duplicated passwords and help you change them to unique passwords. That takes a lot of the drudgery out of fixing all those weak passwords. Another new feature is the ability to designate an “emergency contact,” a trusted friend or family member who will be able to access all your RoboForm data stored on the company’s server in the event that you are incapacitated, incarcerated, dead, or otherwise unable to do it yourself. This feature is a form of “Digital Estate Planning” https://askbobrankin.com/rip_digital_estate_planning.html that can spare your loved ones a lot of hassles when you are not around and they need to access online accounts you left behind. Another type of emergency might be, “I forgot my RoboForm master password.” Your emergency contact, hopefully, hasn’t forgotten theirs. Of course, there is competition in the password manager arena. 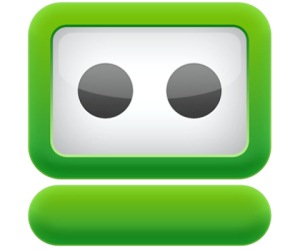 I've used Roboform for many years, to manage passwords on my desktops and mobile devices. But Dashlane is a worthy contender, because of its automatic password changer. LastPass is also very popular. All three have free versions, with optional upgrades to premium features. RoboForm is not just for website logins. If you have applications that require a password, or digital documents that must be unlocked before they can be read or edited, RoboForm can store those passwords, too. RoboForm also stores data such as names, addresses, phone numbers, and credit card numbers, so that it can automatically fill in forms that require such data. Form data can be backed up to an online account, and shared across devices or with others. “To help celebrate the release of RoboForm 8,” the company is offering a free year of RoboForm Everywhere, the cloud-based service that syncs passwords and usernames across all of your devices. Normally $19.95 per year, RoboForm Everywhere is for the mobile or gadget-rich user. It also allows you to securely share passwords with co-workers, family members, or friends, with fine control over what each person can access in your RoboForm account. Tech support via email or phone is also included. RoboForm consistently wins top honors among password managers. It’s new features can help you bolster your password security, a vital step in the ever-escalating war against hackers. Most recent comments on "Can This Robot Manage Your Passwords?" As Karena, Stephe, Graham and RandiO mentioned KeePass, I too having been using it on my computers and MiniKeePass on my iPad Minis. I mainly use it for launching my favorite sites and then automatically logging into them. The sequence needed for each site can be customized. When setting up a log-in for the first time on any site, I always let the password generator take care of providing a long, secure one. (It can be adjusted to meet whatever parameters are allowed/enforced.) Additionally, I use the encrypted data file to securely store a variety of other information, unrelated to websites. It's got a moderate learning curve, mostly due to having more features than some of us will ever use. I've been using BLUR by Abine, have a 3 year subscription which expires in a year. I've thought about others, it doesn't have as "robust" a new password creation feature as it could have, by default, but you can customize even that. What I like best about it though is that it works with EVERY browser I use. I've got a Win 10 desktop, a MacBook Pro, iPhone, iPad and it works on all of those platforms with every browser and I use different browsers on them, on the MacBook I use Safari, but also Chrome (when I have to), and Vivaldi which is my main browser these days. On my Win 10 system I use Vivaldi, Firefox, Pale Moon and Opera, and Chrome on rare occasions - I just don't like the evil empire, sorry. But BLUR has been working beautifully for two years and they have the most responsive customer service of any program I used. If I have a question, they respond, and don't quit until it's fixed. I use Malwarebytes Pro too and they're the same way, best customer service anywhere, bar none. And that part's important to me. I use Maord.com online password creator, for my passwords. Then, I write down every website I use and the passwords to them. I keep a copy, and give a copy to a trusted relative. I have Dashlane installed on my Apple iMac, but don't use it. I use Password Power and have done for some years. I don't sync passwords - ever - the more devices you have with all your passwords, the more vulnerable you are. I keep PP on my main desktop and that is only connected to the internet when I need specifically to go online, which is probably no more than an hour a day. and it was not $12.00 as one person wrote but $24.00 plus 2.67 regional tax. In your recent Article entitled "Can robot manage your passwords?" you stated that "Robotform version 8" could be down loaded for a one (1) year trial free of charge. However, you did not provide a site to down same and I could not find this offer on the internet any where. Could you provide the site to your viewers or provide instructions on how to obtain this free offer by Robotform version 8? With over 100 different passwords, I couldn't manage without a password manager. I've been using RoboForm for years and am very happy with its performance and use it in Chrome, IE and FF on both Windows 7 and Windows 10. A number of people have expressed concern over RoboForm getting hacked but I can assure you that there is no possibility of your passwords getting stolen. As for the master password, if you use an easily remembered sentence with a couple of numbers and symbols thrown in there is no way it could be broken. In response to Barbara's comment, RoboForm does do a free version that allows you to store ten passwords. When downloading you have to make sure that you get the free version and not the free download; they are different things. 10 thumbs up for RoboForm! I've used it for years and am very happy with it. My one pet peeve is that the mobile (android) version doesn't work well with apps, and when you have to search for the web login to use in an app, you have to scroll through all your passcards to find it. You cant start typing the name. For those concerned with the cloud security version, you can do this: get your own NAS and sync the folders across multiple devices. FYI: Years ago I purchased a lifetime license that included Roboform for my desktop and the ability to sync with other devices. Version 8 changes all that. I contacted customer support and found that my lifetime license was no longer valid. Version 8 is free for use with only one device. You now have to purchase an license for additional devices with sync capability. This information wasn't apparent before I did the upgrade. Those of you with lifetime licenses BEWARE. If I didn't like Roboform as much as I do I'd drop it in a minute. Apparently they don't what "lifetime" means. I still don't trust this company. When they first came out, I was entering 100 sweepstakes a day and they were paying me to send them forms that didn't work so they could fix RF. BUT they failed to pay my second check of $500, sending instead under $200, saying they were new and could not afford the money even though they agreed to pay the amount and I was following my part of sending in dozens of forms a week. Plus, I think they were run by Russians. Inputting sensitive info seems risky. I've been using Sticky Password for a few years now and love it. Lifetime option is a great deal. I have been using Keeper Security for years. It does most of the things RoboForm does. It helps me manage (at last count) 377 unique and strong passwords. Been using the Free open source Keepass for years. Wonderful program. Have my encrypted vault stored in Dropbox meaning I can access my passwords on any computer plus phone and tablet with the Keepass2Android android app. I don't see the need to pay for one when Dashlane and Lastpass do the same thing for free. I use both for redundancy. I use an Excel Spreadsheet with a password. This has all of my passwords and the name of the file is NOT Passwords or anything like that. I figure I can make up passwords that are strong after having to do that over the years. Yes it takes a few keystrokes if I forget or need to use one that is not often used. But I figure that these companies are using their lists for something, otherwise they would neither be free to use or low cost. I have been keeping a copy on Google drive, but I am thinking of not doing that anymore because, despite any assurances, they actually might know my file password, and any leak is a bad one. Yep I'm paranoid. I think we need to be. I used the paid version of RoboForm. I purchased the original which keeps a local copy of data on your PC. Then, I purchased RoboForm Everywhere, which keeps a cloud copy of your data. Unfortunately, I did not know that RoboForm Everywhere had a hard limit of 25 MB of cloud storage. And, I had recently imported my bookmarks into RoboForm Everywhere. This increased the size of my data to well in excess of 25 MB. And, silently, RoboForm Everywhere synced and deleted most of my passwords. Better is the enemy of good enough. I have been using the free version of LastPass for years, and see no reason to change. Too many companies seem to like the idea of software as a service (translation - annual renewal fees). I have resisted the impulse to upgrade - the free version works just fine. The only feature that appeals to me about RF is the ability to identify and change weak and duplicate existing passwords, but so far this is insufficient motivation to change. If you did not care to continue with RoboForm after the trial period can the PW's be exported from RoboForm to another PW manager? or indeed can PW's be imported/exported between all of the different PW managers? Roboform web site goes out of its way NOT to tell you that the "FREE" version is only a TRIAL version nor that it is a subscription service. This is hidden until after you receive a pop up on your screen & after having used the "FREE" version. To bad they feel they can't be open with their customers! WHY?